Earlier we reported that Google was to kill Wave – its experimental Web-based messaging platform. However after a few developers and early adopters voiced their concerns Google seems to have changed its mind. Google today announced that it will be expanding the code it has building Wave into a full fledged functional application that will let users host their own wave servers and run real-time collaboration technology. Wave was launched with the intention of helping replace email and enable automated messaging. But not having expected demand from its users Google decided to end the project and to kill Wave. Today with this new development Google wants to build the application and then move on with the project. Thereafter the future of Wave will depend on the developer community. 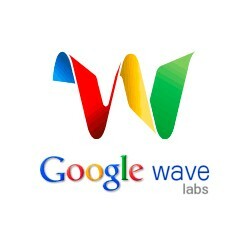 Google says the new Wave can be loaded by users onto their own servers – “Wave In A Box” and will support feature threaded conversations and importing data from wave.google.com. Wave was liked by many businesses for its real-time collaboration and discussion and might be adopted by some. Wave will also find greater acceptance in feature-rich Web Forums, productivity tools and apps that let you collaborate projects. No release time lines were specified by Google. However Wave.Google.com will be available through the end of the year. Previous Apple To Possess You With Ping and iTunes!